Sunday Line is developing a new mission partnership with Villages of Hope in Africa, directed by Sergio and Nancy Bersaglio. Their purpose is to bring lasting hope to children at risk so they can embrace adulthood as independent and contributing members of society. With hope comes dreams and within the dreams lies the answer to the question we so often forget the importance of: What do you want to be when you grow up? In the past, there may not have been an answer, but now the answer is there; it is there because hope is there. 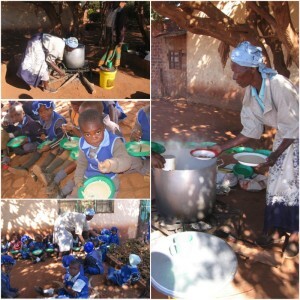 In Zimbabwe, the off-site feeding program that was started by Villages of Hope continues to grow and is now reaching an average of 120 children per day! Each child receives a serving of high-energy protein porridge, enjoys a basic pre-school lesson and Bible story and participates in a game time each day. 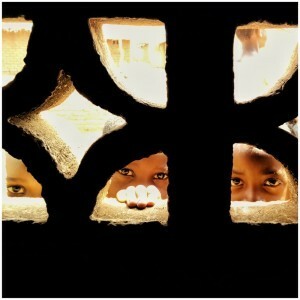 Villages of Hope is located in 8 regions throughout Sub-Saharan Africa providing care for vulnerable children. In Malawi the feeding program brings balanced nutrition to over 100 children daily and is a key ingredient in their holistic care. These beautiful faces were checking out the progress of the daily meal as it was being prepared. Sunday Line is pleased to support Villages of Hope as they bring hope to children at risk in Africa.